With New Year’s Eve upon us, many are considering places to travel in the coming year. Perhaps you will be traveling for a special occasion or celebration or you are thinking about giving the gift of travel. What could be better than sharing an anniversary or birthday trip to that one place you have dreamed about for years with someone special? Traveling abroad will give you more insight to the world around you and provide a better understanding of the food and traditions of people in other countries. Travel is a gift of memories that last a lifetime. 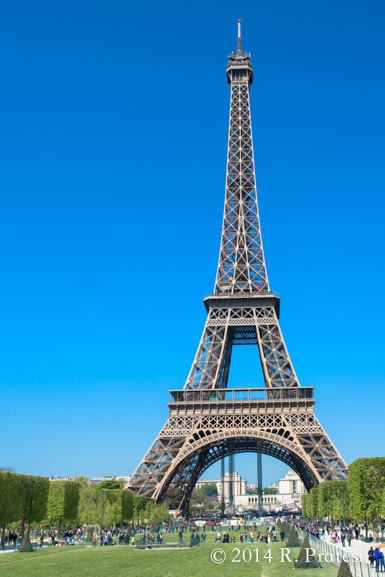 Paris, the City of Lights, is certainly one of the most iconic destinations for European travel. It’s one of the most romantic cities you can visit. The cuisine is extraordinary, the art and architecture are some of the finest in the world, and the city is steeped in centuries of traditions and history. It’s a city where you immediately fall in love with the beauty, food, fashion, and of course, the shopping. Once you’ve visited Paris, it stays in your heart and soul forever. A trip to the top of the Eiffel Tower at night with the city lights sparkling below is spectacular. 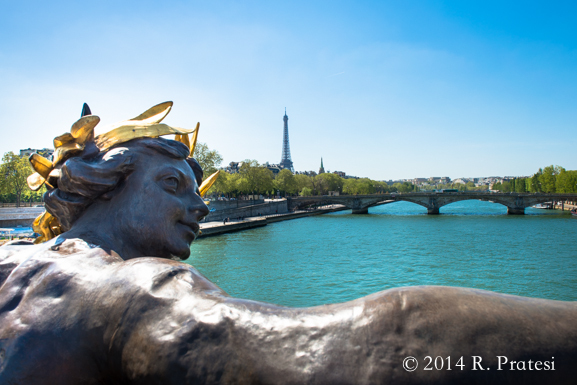 Paris will surely ignite your intellectual, social, and personal passions. 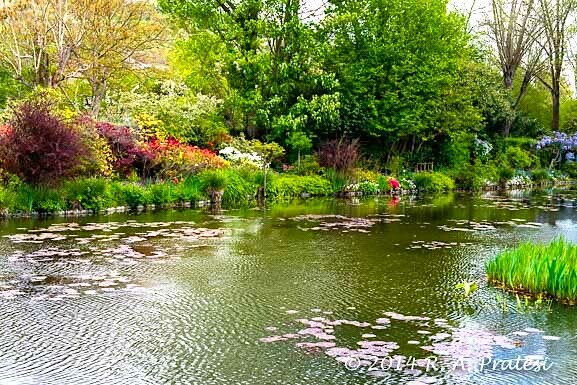 If you are considering a visit, spring and fall are the perfect seasons to travel with ideal temperatures and fewer crowds. 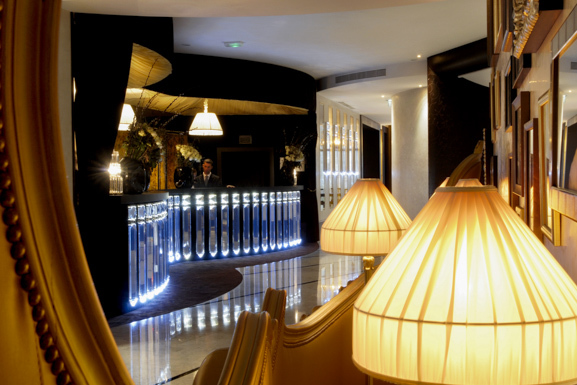 When planning a trip to Paris, and to experience it much like a true Parisienne, you should consider a hotel located in the heart of the city. 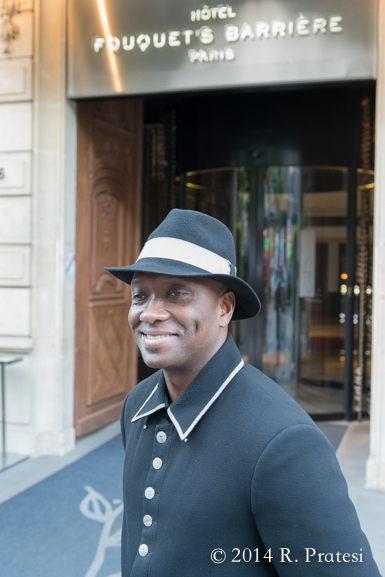 During our recent visit, we stayed at The Hôtel Fouquet’s Barrière. 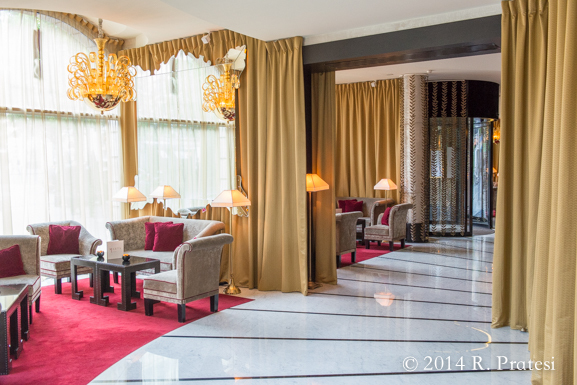 In addition to location, we wanted a hotel with a unique history and a real French flair. At number 46, avenue George V, this beautiful luxury property is centrally located and within steps of the Arc de Triomphe. 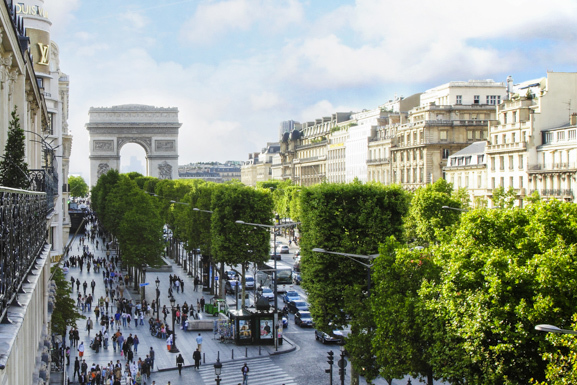 Situated on the corner of avenue George V and the Champs-Élysées, guests can walk to major attractions in the city, such as the Grand Palais, Palais de Tokyo, Musée du Quai Branly, and the banks of the River Seine. The Hôtel Fouquet’s Barrière provided everything we could want as well as a staff that is extraordinary in attentive service. This is one of the finest hotels in all of Paris. Fouquet’s Barrière is also close to many of the city’s best restaurants and one of the most distinctive luxury shopping streets in Paris, Avenue Montaigne. After all, many travelers come to Paris to shop for couture and designer luxury goods, so seasoned shoppers and guests of the hotel will love that the impressive Louis Vuitton flagship store is just across the street. The hotel is also a few blocks away from the famed macaron and pastry shop and café, Ladurée. The hotel has an intriguing history, with their famous brasserie, Le Fouquet’s, dating back to 1899. International movie stars and many famous people have dined at this restaurant on the Champs-Élysées for over 100 years. 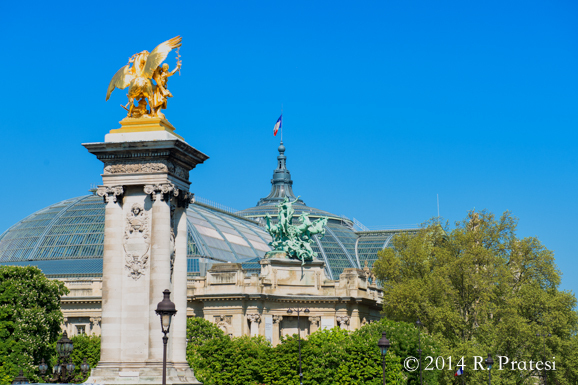 It has always been known as “the place to see and be seen” in Paris. The property’s owners, the Lucien Barrière family (Groupe Lucien Barrière,) have a well-known history of hotel and restaurant management in France for over a century, and they coined the term “resorts,” opening first La Baule in the seaside resort town in Brittany, followed by the Normandy Barrière in Deauville, and a resort on the French Riviera in Cannes, Hôtel Majestic Barrière. The family business currently owns a number of hotels and resorts in France and one in Morocco. 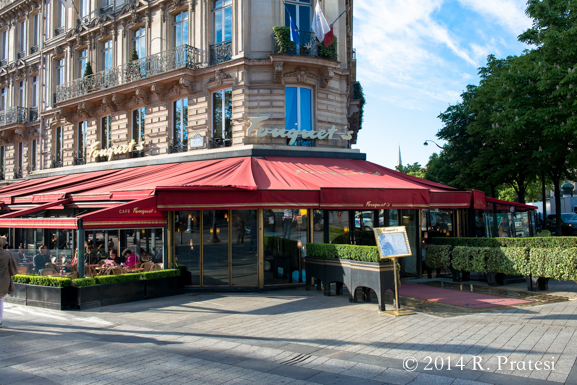 The Barrière family purchased the landmark brasserie, Fouquet’s, in 1998, followed by the hotel property in 2001. Hôtel Fouquet’s Barrière opened in 2006. It is the only five-star hotel in Paris that is still owned by a French family. 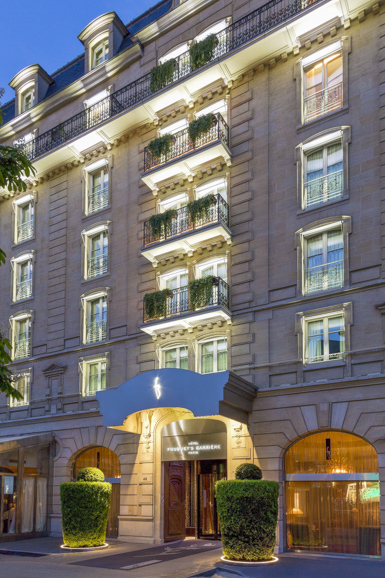 Today, the Saudis and other wealthy International families and businesses own all the other five-star luxury hotels in Paris. The spa looks very inviting… I’ve been to the Le Foquet’s brasserie in Paris and Cannes, I always like hearing a little about the history. Great photos, Roger! Happy New Year to both of you! I agree, the history is what makes these properties more interesting and of course, all of the famous people who have dined at the brasserie and stayed at the hotel. I hope to see you in October in Louisville!